Grand Canyon University's renovated student dining facility incorporated almost everything necessary for a great meal. These environmental graphics helped warm up the atmosphere and provide a restaurant-like experience. 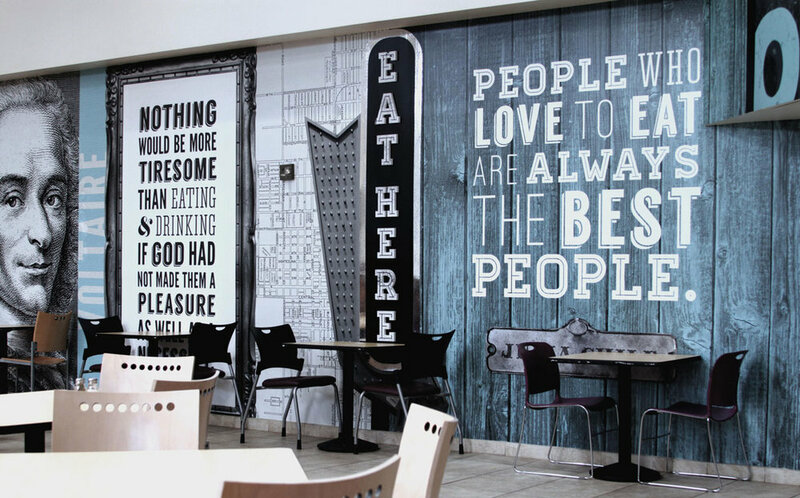 Each wall features a unique mixture of elements including 3-dimensional lettering, fabricated aluminum signage, foil vinyl details and quotes from notable personalities.